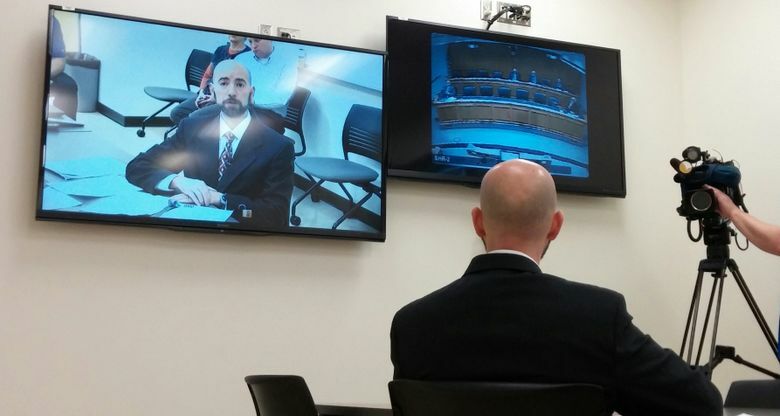 The state Legislature should expand its use of remote video testimony at committee meetings, so that citizens don’t always have to make the long trek to Olympia to make their voices heard. Snowy mountain passes and crowded freeways shouldn’t be barriers to participating in our democracy. Yet for many people who live far from the state Capitol in Olympia, driving several hours and taking time off work to testify on pending legislation is beyond the realm of possibility. That’s why in 2019, the state Legislature should expand its efforts to let more people participate from a distance, through the use of remote testimony. By using videoconferencing technology, people who want to weigh in on proposed changes to state law don’t have to trek all the way to Olympia to make their voices heard. Instead, they can testify through a live connection, while also answering lawmakers’ questions in real time. The live feed is projected on a large screen in the same committee room where lawmakers receive in-person testimony. People can either set up a connection on their own computer using videoconferencing software, or drive to one of 16 sites throughout the state capable of transmitting video to the Capitol. Arguably, testifying face-to-face can have the greatest impact on lawmakers when they are reviewing the pros and cons of a bill. But for those who are unable to drive to Olympia due to work commitments, bad weather or other factors, speaking to lawmakers via live videochat is a good alternative, and one that still carries more emotional weight than submitting comments in writing. “The 2019 session starts in January, a time when driving across the mountain passes can be impossible or life-threateningly dangerous due to weather,” said state Sen. Mike Padden, a Spokane Valley Republican who has been a key advocate for using remote testimony, in a prepared statement. A pilot program began in 2015 to allow use of remote testimony at state Senate committee work sessions and hearings. Still, the technology is rarely employed. In the 2018 legislative session, which ran from January through March, Senate committees took testimony through a remote connection a total of 18 times, according to Senate staff. But that number represents only a fraction of the hundreds of committee meetings that take place at the state Capitol each year. The state House, which has more standing committees than the Senate, uses remote testimony even less frequently. Senate committee chairs, who must approve each remote testimony connection, should endeavor to increase those numbers when the Legislature reconvenes in January. More broadly, Senate leaders should adopt changes that expand the existing pilot program, giving citizens more opportunities to share their thoughts from hundreds of miles away. Then, the state House must also take steps to embrace the technology and make it available for regular use. Once that’s done, committee websites and meeting agendas should let constituents know that remote testimony is an option and encourage them to use it. Expanding the use of this type of live-streamed testimony is one of the easiest things lawmakers can do to ensure that everyone has the chance to participate in their government — no matter which corner of the state they call home.